DIY trends are everywhere these days, thanks to an influx of home improvement television shows and Pinterest hacks. While you might feel encouraged to do everything yourself instead of hiring a professional, the truth is that doing so might result in a shoddy result. That’s certainly true if you’re facing a drunk driving charge. Regardless of whether this is the first time you’ve found yourself in legal trouble or you’ve been arrested before, you need an experienced Clackamas County DUI attorney to help you through this uncertain time. Here are a few reasons why you should always consult with a DUI law firm instead of trying to defend yourself in court. It’s more cost-effective: You might be concerned about how much a DUII defense attorney might cost. That’s understandable, especially if you’re facing financial hardship. But you shouldn’t let the costs keep you from hiring a Clackamas County DUI attorney. Ultimately, a drunk driving conviction may cost much more than an attorney’s services will. You might have to pay thousands of dollars in fines and a hefty hike in your auto insurance premiums, for a start. So while you might not like the idea of paying a lawyer to help you, remember that the cost is worth it when compared to the alternative. Your future is in jeopardy: Some people assume a drunk driving charge is no big deal, but a DUII conviction can have serious consequences for your future. Although fewer than 4,000 people are arrested in the U.S. for drunk driving on a daily basis, those charges carry some major weight. Your license will be revoked for a substantial period of time (anywhere from a year to your entire life, depending on your criminal history), which can make it difficult for you to work or uphold family obligations. You could be fired if your arrest is made public, and a conviction will certainly make it more difficult to find a new one. Depending on how tough a judge is, you could go to jail for years — and that’s much more likely without someone to defend your rights. DUI laws are extremely complex: The bottom line here is that you wouldn’t trust yourself to perform surgery or teach a subject you knew nothing about. For that same reason, you shouldn’t have to try to defend your rights and build your own case in a court of law. Skill, knowledge, and experience are needed to argue a case, call expert witnesses, and assess whether evidence is admissible. And none of that can be learned by binging crime shows on TV. If you’re facing a DUII charge, you can’t afford to leave your defense up to chance. Be sure to contact a Clackamas County DUI attorney to make certain your rights are protected in court. To find out more or to schedule a consultation, please contact our firm today. 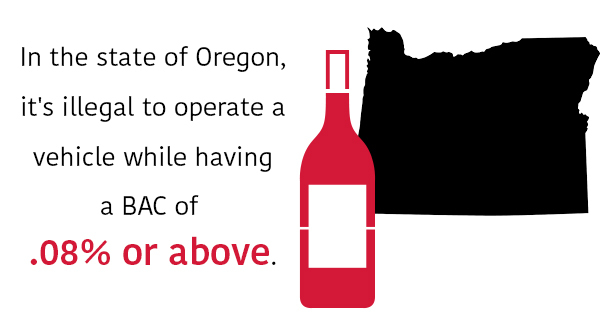 In the state of Oregon, it’s illegal to operate a vehicle while having a BAC of .08% or above. But even those who know this act is not permissible by law may make poor decisions that get them in legal trouble. If you have been arrested for a DUII in Oregon, you’re likely stressed out, scared, and confused about the next steps to take. These next moments are actually critical in terms of your case. To that end, here are a few things you’ll want to do immediately after your arrest. Being arrested can be a bit traumatizing for anyone. The combination of an adrenaline rush and intoxicants in your system might very well make the details of this event a bit fuzzy. It’s essential, therefore, to write down every detail you remember about this incident. For instance, record where you were stopped and when, the reason given for the stop, whether field or breathalyzer tests were given, and everything you can remember being said between you and the officer. Even if you think a detail is too insignificant to matter, record it. These facts could be of great use to your DUII attorney later on. When facing a DUII conviction, your defense needs to be as strong as possible. Character witnesses — which might include family members, friends, neighbors, or anyone who saw you prior to or following your arrest — can be of great help to your DUII defense. But it’s important to seek out these individuals as soon as possible. Contrary to popular belief, a person’s memory is not perfect; their recollection of events will be stronger if they’re able to provide a statement right away. You might be inclined to delete photos, video, or other social media posts that could be seen as incriminating. But deleting an image from one source doesn’t mean it disappears; once something exists online, it’s there forever in some form. And even if there are no images or video from the night of your arrest, a prosecutor could use other posts to present a pattern of bad behavior. It’s far better to make all of your online profiles completely private and to weed through your friends or followers list to ensure your privacy is protected. In addition, refrain from posting about these events at all online and keep a low profile in general. In the digital age, any post could be used in court to discredit you. Whether this is your first infraction or you’ve been arrested before, DUII cases can be notoriously complex. 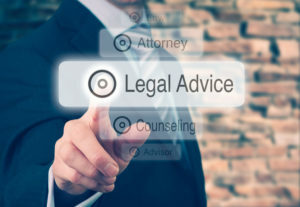 You need help from an experienced law firm to ensure your rights are protected. Having a DUII attorney on your side will give you the best chance of a positive outcome. And the sooner you consult with a lawyer, the better off you’ll be. If you or someone you know is facing criminal charges stemming from driving under the influence of intoxicants, we’re here to help. Please contact our offices today for more information.